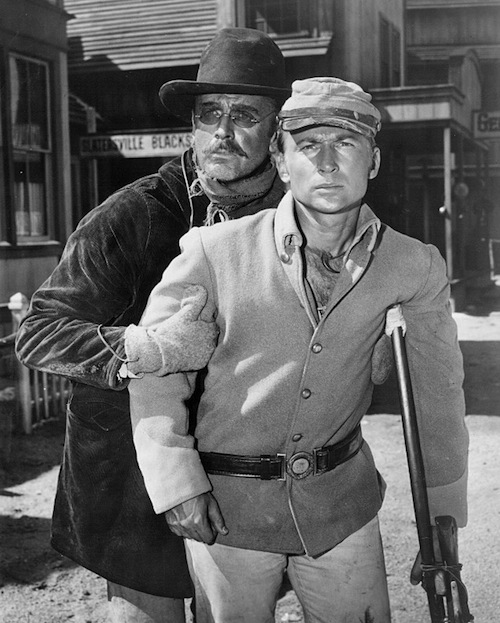 Nick Adams | 50 Westerns From The 50s. 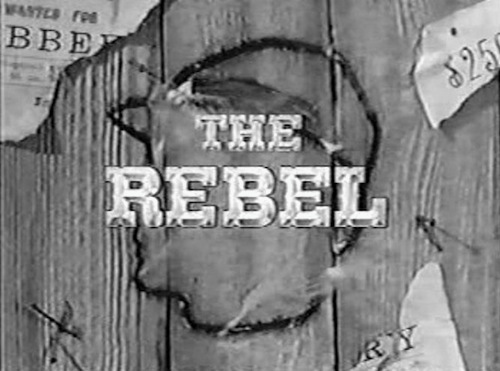 50s Westerns DVD News #182: The Rebel (1959-61). 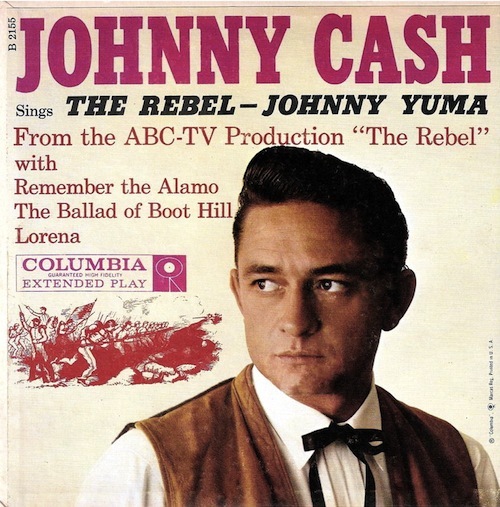 Timeless Media Group has announced The Rebel: The Complete Series for release this August. You get all 76 episodes and plenty of bonus stuff: interviews, stills, commercials and a featurette. 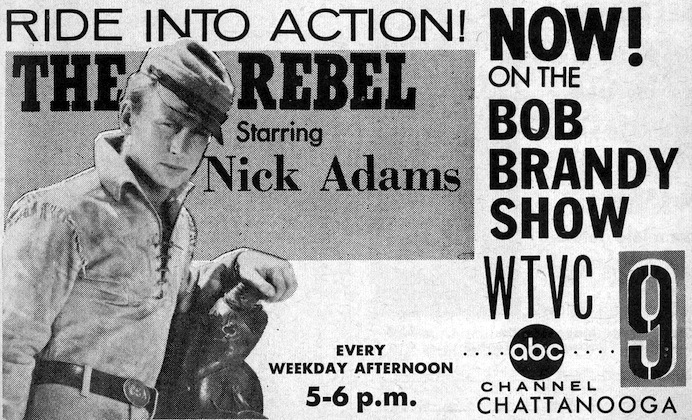 Nick Adams plays Johnny Yuma, a young Confederate veteran who “roamed through the west” following the Civil War. Each week, he encounters a new batch of characters, played by the typically wonderful character actors of the period, from John Carradine to Marie Windsor — and some folks we’d come to know later like Warren Oates and Strother Martin. 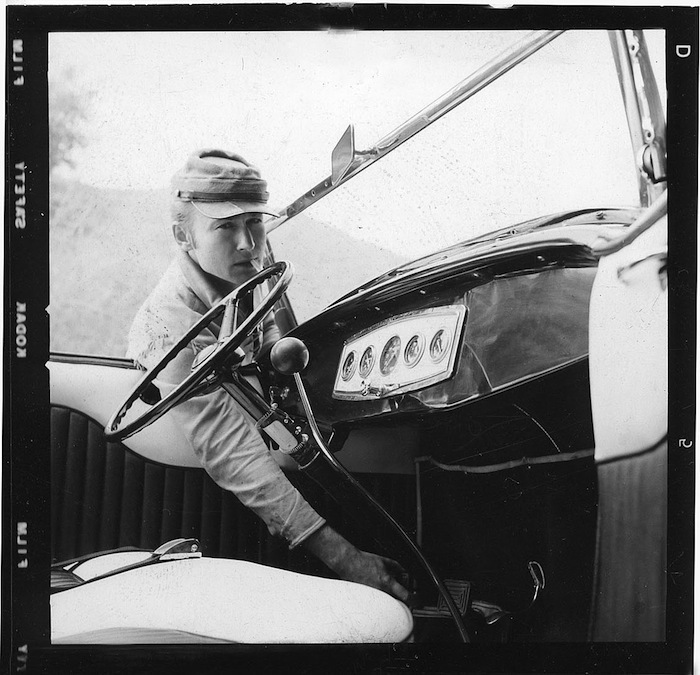 Johnny Cash, who released a 45 of the title tune, even turns up in one. There’s been a lot of great TV Westerns making their way to DVD lately, and it’s good to see The Rebel joining that group. 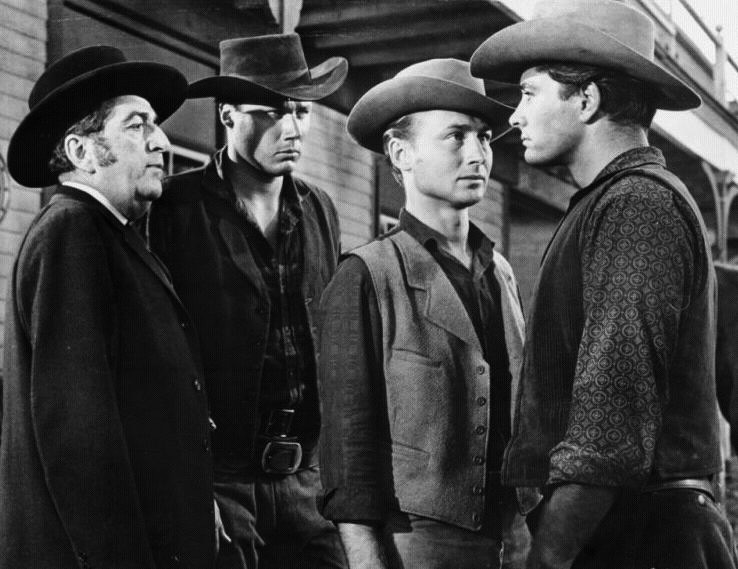 And while we’re on the subject of Nick Adams, Fury At Showdown (1957) — an excellent little Western with a terrific performance from Nick — is out on DVD. I can’t recommend it enough. 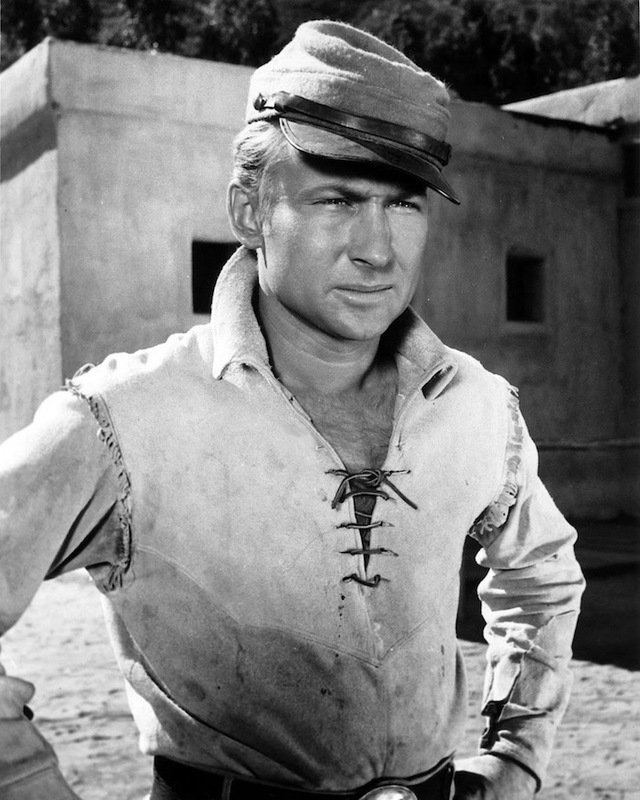 Nick Adams On The Last Wagon (1956). I’m really intrigued by the new book by Nick Adams and his daughter, Allyson — The Rebel And The King. 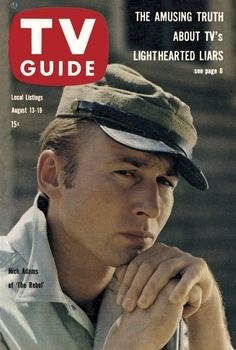 Turns out Nick Adams had written a manuscript about his time hanging out with Elvis around the time of Love Me Tender (1956). 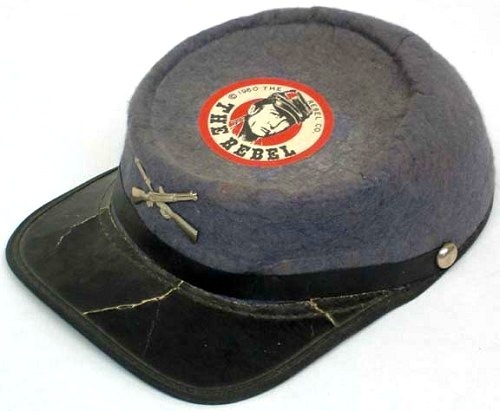 Allyson discovered it among her dad’s belongings over 40 years later. You can read more about the book’s background here. “While in Hollywood, Nat, Elvis and I went to see a private showing of my biggest part to date, The Last Wagon, at the Academy Theatre on Melrose Avenue. When my name came on the screen in large letters I started to cry because to me it was something I had worked eight hard years to achieve. For a second, my mind flashed back to all the hard times my family had. I have wanted many things in my life. Probably the main reason is because I have always been a peasant. Perhaps my opinion of my ability is overrated, but I think I can go places with a little push. If I don’t succeed I’ll probably end up behind the eight ball and possibly a bum. Maybe I won’t ever have money, but I don’t know, if I succeed I’ll be on top of the world. And now seeing my name on the screen meant that maybe someday I would be able to give my parents all the things they never had, just the way Elvis helped his parents. 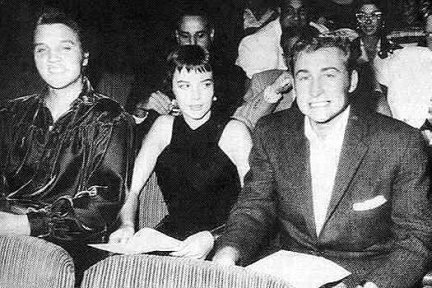 Elvis Presley, Natalie Wood and Nick Adams. 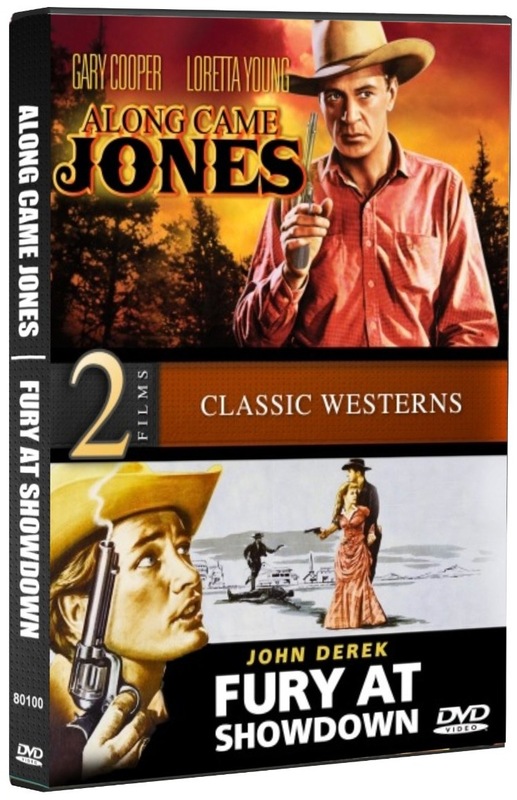 50s Westerns DVD News #97: Fury At Showdown (1957). I dread going to Walmart like some people dread going to the dentist. Wound up in one last night — and walked out with a copy of Fury At Showdown (1957). It’s one of those twin-bill $5 DVDs from TGG Direct, paired with Gary Cooper in Along Came Jones (1945), and dumped in those big bins full of DVDs. TGG has been licensing stuff from Fox/MGM, some of which I’ve mentioned before. Fury At Showdown is a real gem, one of those neglected little masterpieces that are so fun to discover. It’s got solid performances from John Derek and Nick Adams — and superb direction from Gerd Oswald. And it was shot in a week. It’s a sharp full-frame transfer, with rich blacks and just enough dirt and dust to remind you you’re watching a movie. Widescreen would’ve been terrific, but to see this thing finally available — and for just $5 — who’s complaining? I’ve recommended this picture many times, and I’ve been researching it for the book and blog recently (with a big thanks to Thomas Chadwick), so you haven’t heard the last of it. Fury At Showdown will make a nice addition to your Labor Day weekend. It’s even worth a trip to Walmart. UPDATE (9/6/12): This DVD is now available from Amazon at a higher price. 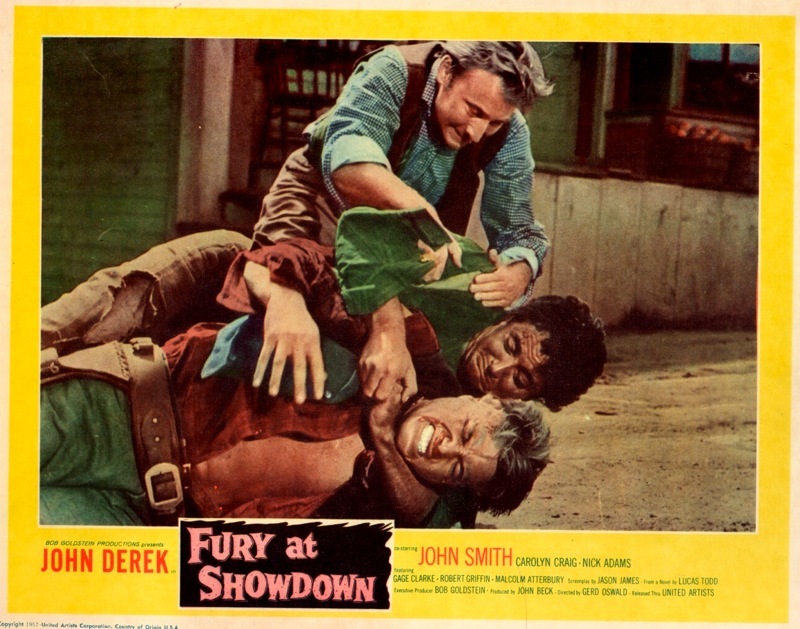 DVD-R Alert: Fury At Showdown (1957). 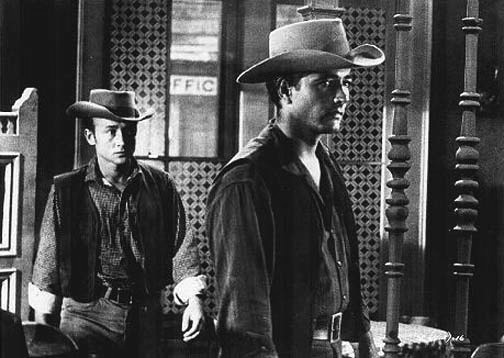 Gerd Oswald’s excellent Fury At Showdown (1957), a little masterpiece waiting to be discovered by a larger audience, is scheduled to appear on Encore Westerns on Tuesday, June 19, at 9AM (Eastern/Pacific). Don’t miss it. 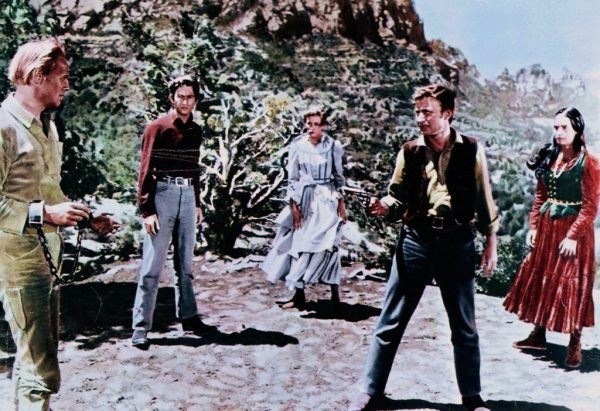 It stars John Derek, Nick Adams, Carolyn Craig and John Smith. A key 50s Western and a miracle of low-budget film-making — Oswald somehow pulled this picture off in a week (some of it at Iverson Ranch)! Why hasn’t MGM made this part of their MOD effort (widescreen, please)? In the meantime, if someone out there captures this on DVD-R, please let me know!